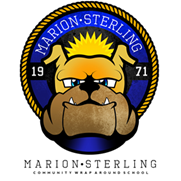 Math Tutors Needed — Campus District Inc.
Have you been hoping to become involved in a meaningful way at Marion-Sterling? Do you want to really make a difference in the life of a student? Become a “Lunch Time Buddy” - an easy and effective way to help our students master basic math skills. Tutors will help students build, develop and practice basic math skills, i.e. addition, subtraction multiplication/division. Monday - Friday 11:30-12:10 (K-2nd Grade) and/or 12:20-1:00 (3rd-8th grade). Tutors may volunteer 1-5 days weekly. Students will be matched to tutors with consideration for tutor's comfort level and abilities. Coaching and Direction will be provided by certified teachers.